Durashelter roofing comes with Redpath's industry leading "storm warranty"! Flexibility to customise a shelter to suit your individual circumstances. Contact us for more information or a no obligation quote. Dairy Shelters Australia customises Redpath clear roofed shelters for the Australian Dairy Industry. 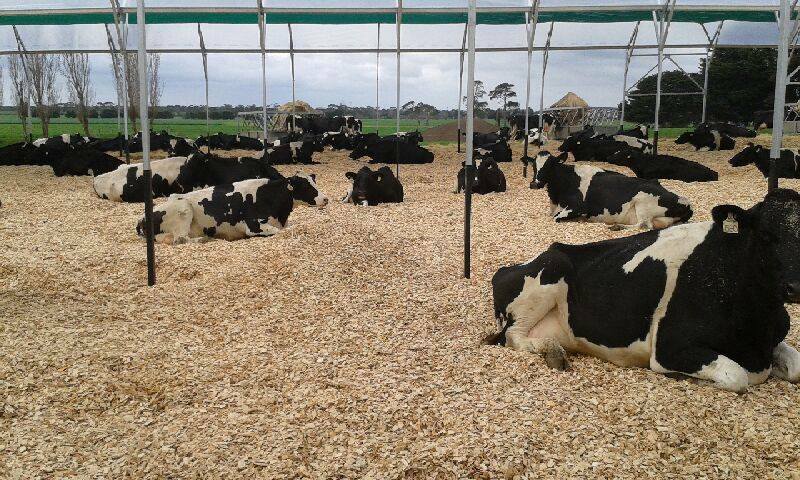 Redpath clear roofed deep litter shelters are steel framed with a flexible clear roof (polythene) membrane that has been tried and tested in the New Zealand dairy industry for over 30 years. The shelters are a cost effective solution with the potential to deliver ‘new milk’ to your dairy enterprise while improving animal welfare, pasture management and effluent control.